The laundry room re-do is officially complete! 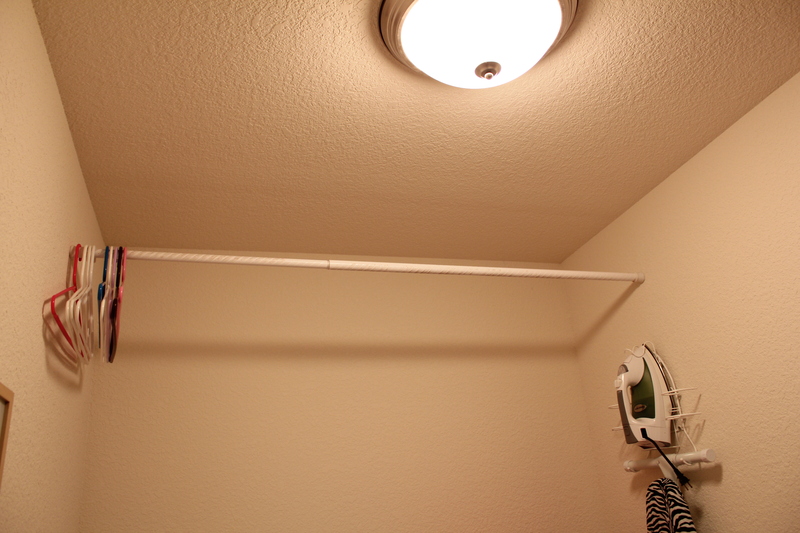 I have pictures and everything ready to go, but…I wanted to write this separate post first, because my favorite part of the redone room is the light fixture! I searched high and low for a light fixture that would fit this room. I wanted something girly that would be inexpensive and also give off great light. I chose a mini chandelier from www.overstock.com. I am in love with it! It gives the room a completely different tone! 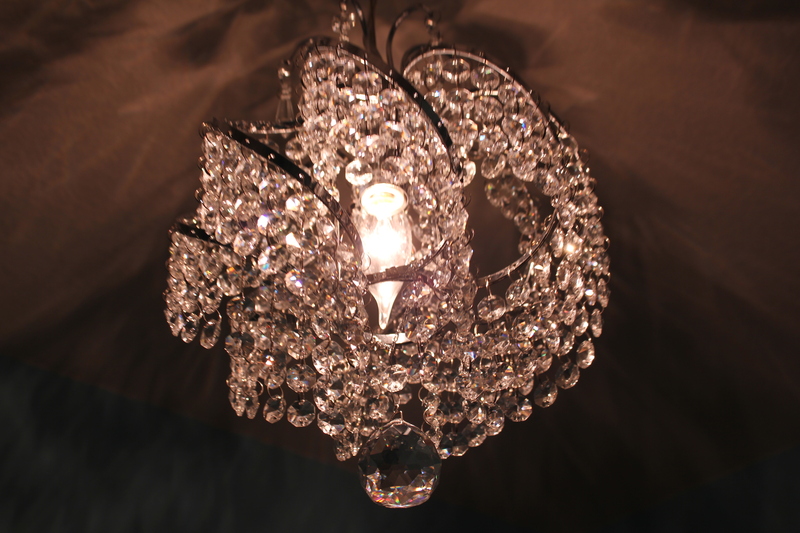 You can find this chandelier on overstock.com here, but as of today it was out of stock! (Note: I paid less than it is currently listed for on the site as it was on sale at the time I purchased it, and I also received a 10% first-time customer discount). There isn’t too much more I can ramble on about with this light fixture, other than to say, I was on the fence about spending money on a light fixture in a room that no one else will really see — BUT it makes my laundry experience more exciting and why not make the laundry room a room that you could proudly leave the door open for guests to see? I’m off to enjoy this beautiful spring weather (yes, it’s finally warm!) but my next post will have finished pictures for you! Hooray!